Primary care and internal medicine are specialties that deal with the prevention, diagnosis, and treatment of medical conditions affecting people of all ages. 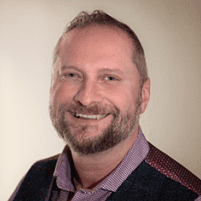 Shawn Hassler, MD, at Optimus Medical Group Inc in San Francisco offers a multitude of medical services to help improve your physical and emotional well-being. For comprehensive, top-notch care, contact Optimus Medical Group Inc either by phone or via the online tool to schedule an appointment. It’s critical to see Dr. Hassler at least twice a year for your medical check-up so he can make sure your health is optimal. One of the most important components of medicine is preventive care. The purpose of preventive care is to monitor a patient’s health over time and screen for common problems, such as high cholesterol or high blood pressure. Screening for these issues allows Dr. Hassler and his staff at Optimus Medical Group Inc to diagnose health problems before they become serious and provide prompt treatment. Preventive care appointments also give the patient an opportunity to ask questions and get advice from Dr. Hassler to improve their overall health. During an annual checkup, a member of the staff at Optimus Medical Group Inc begins by taking the patient’s vitals, including temperature, blood pressure, and heart rate. The staff member also weighs the patient at this time. Next, Dr. Hassler performs a thorough physical examination. They may also ask questions about specific symptoms or health issues the patient may be experiencing. Depending on the patient’s age and the results of the exam, the doctor may order blood work or other tests to screen for health problems or investigate certain symptoms. Finally, the patient may receive any necessary immunizations and medication refills during this appointment. When should patients make an appointment at Optimus Medical Group Inc? Patients should schedule an appointment for primary care services whenever they’re experiencing troublesome symptoms, have sustained an injury that needs treatment, or have other concerns about their health. Patients should also schedule a checkup annually even if they don’t have any concerns. 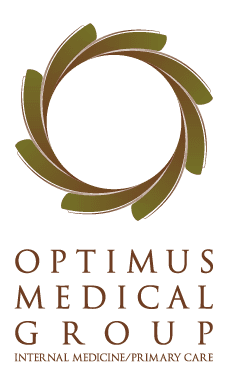 In some cases, patients may have an issue that can’t be addressed at Optimus Medical Group Inc. If patients aren’t sure whether making an appointment is appropriate, they can call their medical team for guidance. If you haven’t had your semi-annual medical exam, call Optimus Medical Group Inc today or schedule your appointment online.